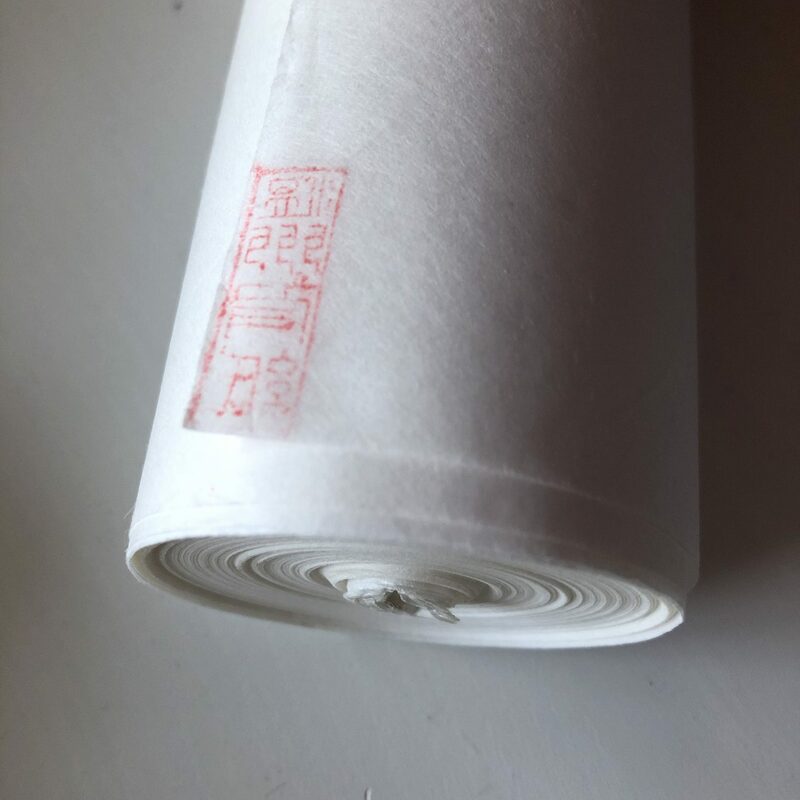 This is a roll of Mulberry paper 46cm wide and 25m long, this is suitable for painting and calligraphy in its own right and also for use as mounting paper for works on half width Xuan paper (eg 35cm wide, 135 long). 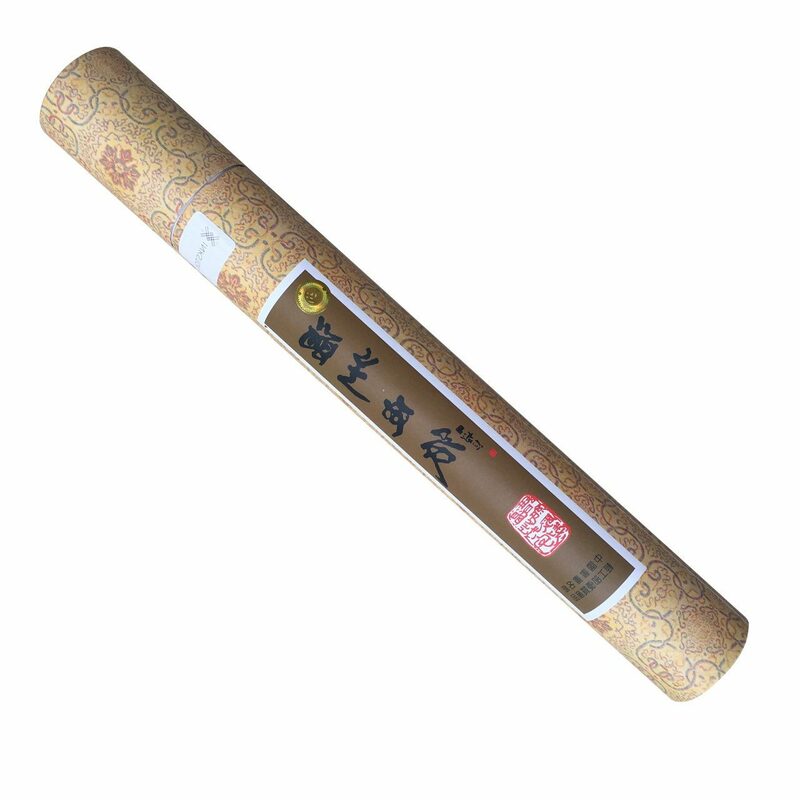 温州皮纸 (Wēnzhōu pízhǐ) WenZhou Pi paper is a famous paper for sumi-e, Chinese painting and calligraphy, also know as Mulberry Paper or Washi. 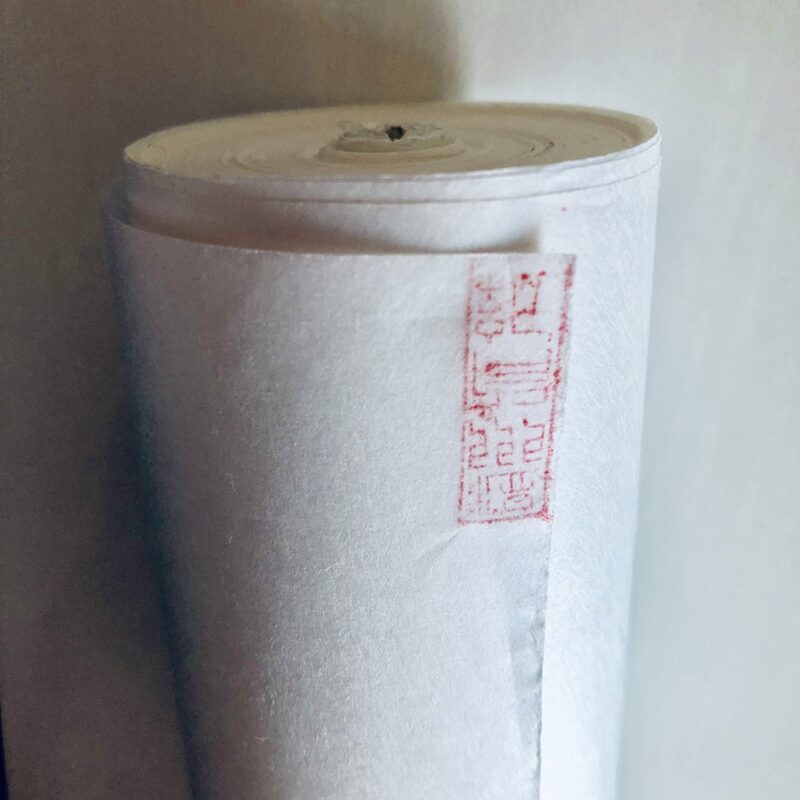 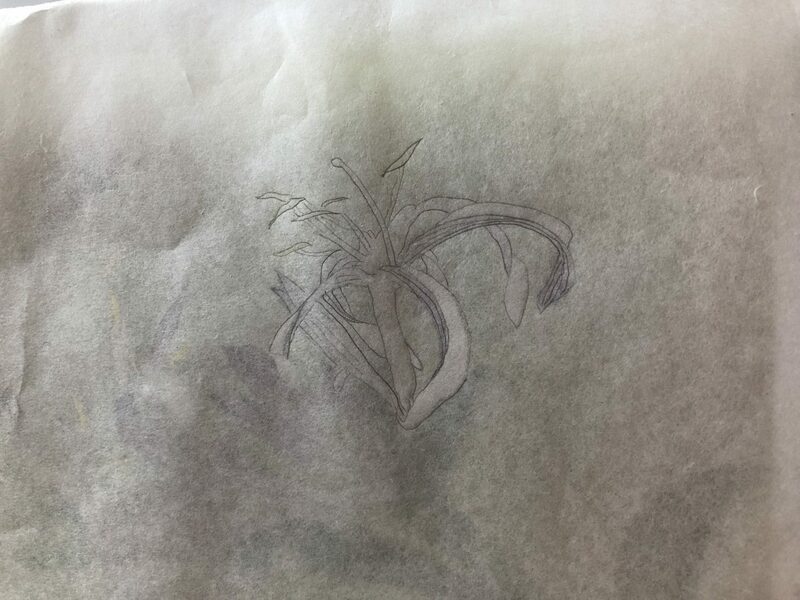 This paper is made from the bark of Paper Mulberry tree (Broussonetia papyrifera) and produces a stronger thicker paper than Xuan paper which is made from the bark of the Peteroceltis tatarinowii tree (青檀 Qīng tán). 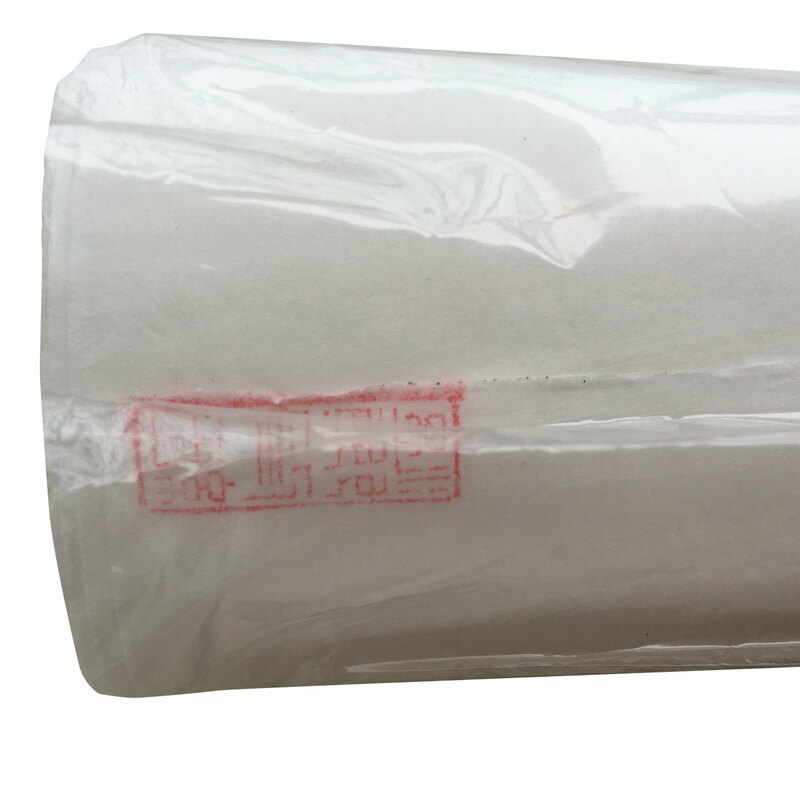 Unlike Xuan paper, Pi Paper is packed in a long roll. 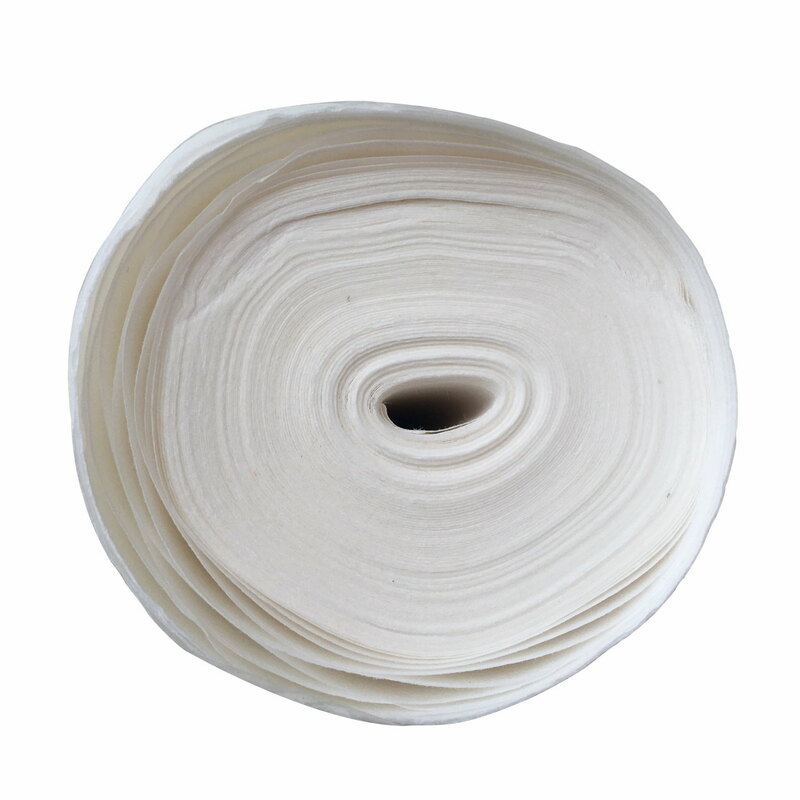 This is machine made paper. 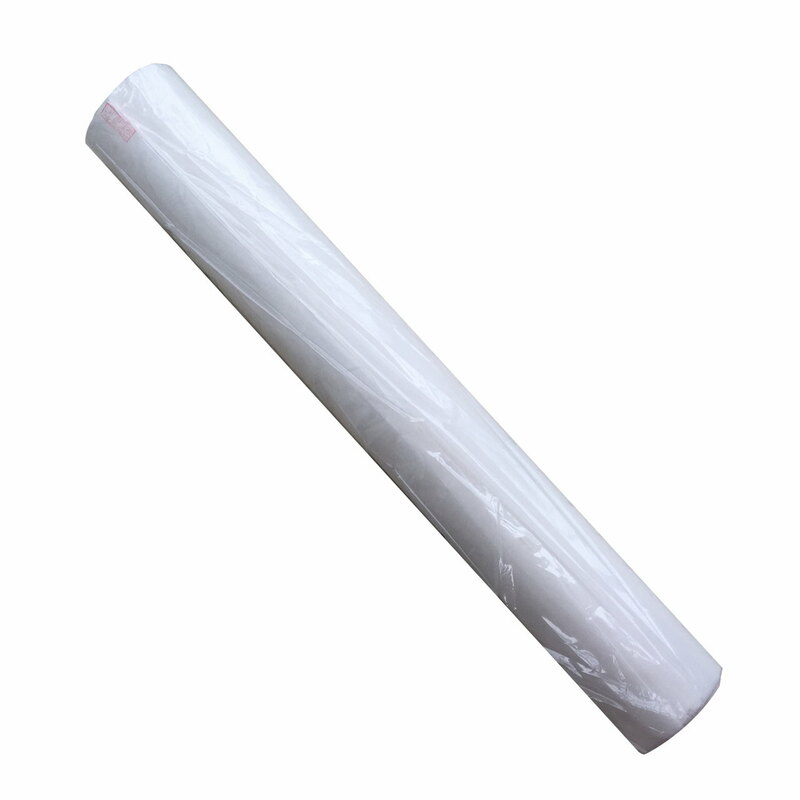 Inkston Pi paper is produced at the best Pi Paper factory in Wenzhou. 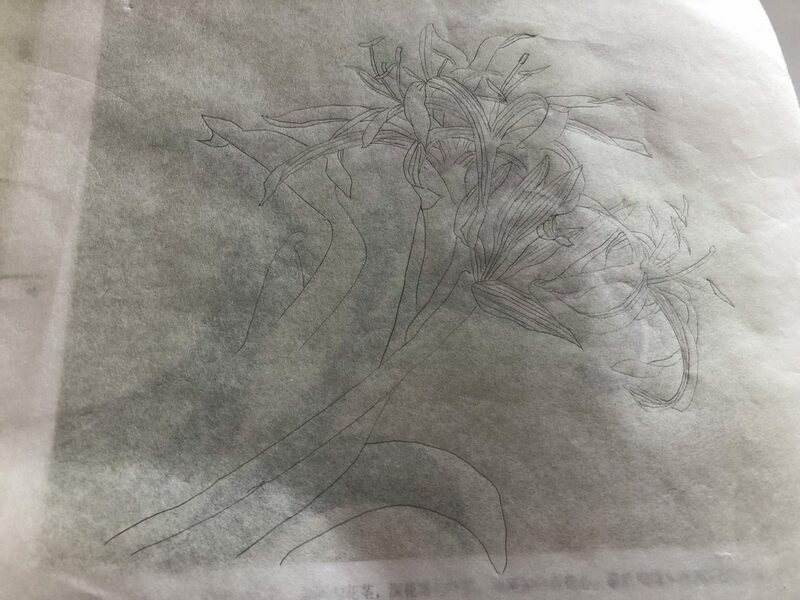 This factory has long been producing papers for Japan and it has the highest production standards in China.